In our last article we highlighted the perceived cons of biological dentistry, but in this post we flip it around and look at the benefits. The International Academy of Oral Medicine & Technology or IAOMT believes that biological dentistry is better dentistry, and it guides practitioners to make the right choices in the diagnosis and treatment of dental problems. The organisation promotes the use of new information to refine dental practices. Biological dentistry, according to the organisation, provides many benefits to the patients and presents opportunities for improvement to dental practitioners. To determine if a dental material is safe to use, it is tested based on the guides for safety assessment by the International Organization for Standardization or ISO and FDA’s Blue Book Memorandum of America. The guides ensure that dental materials are tested for biocompatibility. However, the testing processes of ISO and FDA include a “Grandfather Clause” which allows for a medical device to pass the test if it is proven to be of equal quality or state to one that was “legally in interstate commerce before May 28, 1976.” This means that most dental materials that are being used today have not been subjected to the test mandated by the more updated standards, which is what biological dentistry is promoting. IAOMT considers mercury amalgam as a “biocompatibility nightmare”, as it releases mercury in the body to a point that it causes physiological harm. The mercury in dental amalgam is said to be absorbed by the body, and is particularly dangerous to pregnant and breastfeeding women, because it goes to the placenta and is mixed into breast milk. Even dental practitioners exposed to mercury have been affected adversely. Proponents of biological dentistry are against the use of dental amalgam. During the replacement of an amalgam filling, a dentist may further expose the patient to additional mercury. This may happen because scraping off the old filling during the procedure would make body absorb mercury present in the filling. The organisation also uses scientifically verified procedures to minimise the risk of exposure. It also has methods to help the removal of mercury that is already in the body. Dental offices are a major contributors to polluting wastewater with mercury, and because amalgam breaks down, many jurisdictions require dental offices to have mercury separators on their wastewater lines. The organisation finds it questionable that mercury is considered a hazardous waste, but it is not considered a threat to the human body when mixed in amalgam fillings. The organisation also believes that individuals have different immunological and biochemical responses, so it aims to uplift the biocompatibility quotient of the dental practice. Allergies, autoimmune diseases, and environmental sensitivity are factors that have pushed the organisation to promote methods of immunological testing and biochemical individuality, so a patient would receive appropriate treatment, and would be exposed to dental materials that he or she is less reactive. The organisation maintains that biocompatibility testing is an important service. Another problem that IAOMT is addressing is the fluoridation of public water and the negative effects of fluoride in the human body. Water fluoridation is supported by mainstream dental science, but IAOMT is negating its benefits. The organisation maintains that the studies about the benefits of fluoridation of public water are conflicting, despite the assertion of mainstream dental science that water fluoridation is among the most essential public health measures ever created. The organisation, which looked into the statistics on water fluoridation, holds the view that fluoridation is not the answer to the reduction of tooth decay in communities, as non-fluoridated communities have been able to lower the rate of tooth decay cases just as fluoridated communities have done. The organisation has also stated that accumulation of fluoride in the human body has negative effects. Is Biological Dentistry a Pseudoscience? Biological dentistry is defined as a “complementary and alternative medicine for dentistry”, and the approaches and practices that revolve around it has a common denominator: a disapproval on using amalgam fillings. While biological dentistry is composed of proponents that are licensed medical practitioners, it involves pseudoscientific practices, according to Stephen Barrett, M.D., who discussed the subject matter at length in the article “My Concerns about ‘Holistic’ and ‘Biological’ Dentistry” on Quackwatch.org. Also called holistic dentistry, biological dentistry can be traced back to the work of Weston A. Price, D.D.S from 1870 to 1948. Price believed that sugar was not only the cause of tooth decay, but also physical, moral, mental, and social decay. After conducting a study on primitive people, he postulated that exposure to contemporary foods alone could cause dental problems and increase the risk of developing certain diseases. Price failed to notice that overindulgence on sweets, contracting unfamiliar germs, switching from the hunting lifestyle to a less strenuous lifestyle, and alcohol dependency were other factors that contributed to the decline in both oral and general health of the natives. Price made another blunder by concluding that root canal therapy caused arthritis and several other diseases, as he believed that the treatment allowed bacteria or bacterial toxins to enter the body. Melvin Page, D.D.S., who was a follower of Price, also made exaggerated claims. For one, Page maintained that tooth decay was a result of chemical imbalances within the body. He also believed that mineral deficiencies caused many diseases, with goitre, tuberculosis, heart trouble, anaemia, diabetes, neuritis, and rheumatism just to name a few. The Federal Trade Commission even hounded Page for selling a mineral supplement that gave support to his theory about mineral deficiencies. There are organisations that uphold the core concepts of biological dentistry, according to Barrett. The Price-Pottenger Nutrition Foundation, as an example, has 1,200 members, and it promotes food faddism, homeopathy, megavitamin therapy, chelation therapy, among other dubious practices through its website. The website is also a source of Price’s manufacturers and photographs. The Western A. Price Foundation of Washington D.C. is also a proponent of holistic dentistry that promotes drinking unpasteurised milk and other eyebrow-raising dietary practices. Another organisation is the Holistic Dental Association which has become a source of information for therapies that are not taught in dental schools. The International Academy of Biological Dentistry and Medicine (IABDM) is a network of physicians, dentists and allied practitioners who advocate mercury-free dentistry, cavitation surgery, detoxification, sound, light, and electromagnetics not only to treat oral diseases but also to care for the body, mind, and spirit. Finally, there is the International Academy of Oral Medicine and Toxicology (IAOMT) that firmly advocates the prohibition of dental amalgam to eliminate mercury exposure which is considered to pose a risk on one’s health. Analysing the hair does nothing to determine the nutritional state of the body. While computerised dietary analysis is an effective tool for dietary counseling, dentists are not qualified to give general counseling about dietary practices. Blood chemistry screening test does tell if the body is in a balanced state, but unethical dentists would use it to make exaggerated claims so patients would get a certain treatment. Muscle-testing is derived from applied kinesiology, which in itself is a pseudoscientific way of diagnosis and treatment. In cranial osteopathy, craniosacral therapy, or cranial therapy, the practitioners support the theory that the skull bone can be manipulated for pain management and disease treatment, and that there exists a rhythm of the fluid in the brain and spinal cord and it can be observed to detect diseases. The theory is invalid because the bones of the skull are tightly attached to each other and the cerebrospinal fluid does not have a certain rhythm. Perhaps the most popular aspect of homeopathy is the belief in the flow of energy or “chi” in the body, and some dentists go so far as using an “electrodiagnostic device” that can detect imbalances in the energy flow. Although the concept of “chi” comes from traditional Chinese medicine, it has no legitimate anatomical basis. The body and organs have a link to the surface of the ear, at least according to the theory of Auriculotherapy. Practitioners who believe auriculotherapy to be true would use needles or apply small electrical shocks at certain points on the ear in the treatment of body organs. Auriculotherapy is also not supported by any scientific evidence. Hal A. Huggins, D.D.S. of Colorado Springs, Colorado is perhaps the number one proponent of amalgam toxicity. Huggins strongly believed that amalgam restorations should be removed and that root canal therapy is a risk factor for diseases, such as multiple sclerosis and arthritis. There is no scientific evidence that a root canal therapy negatively affects the body. In fact, according to Barrett, scientific testing has proven that the level of mercury absorbed by the body from fillings is too insignificant to cause health problems. Besides dismissing the need for dental amalgam removal, Barrett also advises readers to stay away from dentists who offer dubious practices mentioned above. Author biodschoolPosted on September 26, 2016 September 19, 2016 Tags cons of biological dentistry, negative of biological dentistryLeave a comment on Is Biological Dentistry a Pseudoscience? With the commitment to redefining the leading edge in biological dentistry, the members of IABDM aim to advance excellence in their fields while promoting the highest standards in patient care and ethical conduct in the medical industry. 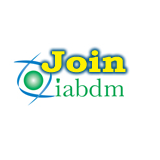 IABDM, as an organisation, creates a safe environment for patients by guiding medical practitioners to uphold the highest standards in their practices. With IABDM uniting medical practitioners from different fields, patients can rest assured that they get dental treatments without risking mercury poisoning, and undergo individualised testing to ensure biocompatibility of dental materials. Patients suffering from TMD and malocclusion would also receive osteopathic, cranio-sacral and other body work to aim for an effective treatment. Additionally, patients afflicted with dental focal infections would undergo a cavitation surgery. IABDM also aims to provide a holistic approach to treatment, so patient care extends to mind and spirit as well. The integrated approach to healing is done successfully with the help of family and caregivers. Finally, IABDM promotes the dignity and individuality of patients and provide diagnosis and treatment only after a patient has given an informed consent. 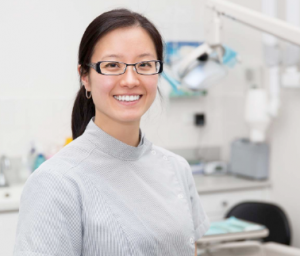 This website aims to promote the work biological dentistry and educate potential patients and practitioners about the potential benefits of this style of care. Author biodschoolPosted on September 19, 2016 Tags intro to biological dentistryLeave a comment on What is Biological Dentistry?